As foodie and cheese lover, I was really excited to explore the recipes of Épisodes : une aventure culinaire en six temps. The concept of the short cookbook is satisfying all those cravings throughout the day with healthy and easy recipes using our classic local cheeses. This recipe made me discover a new cheese, Allégro, a high-protein and lactose-free snack, perfect for lactose intolerant friends! The muffins are a great way to start the day with a smoothie or coffee. I added cranberries for some extra fruits, it was easy and fast to cook. Any recipe with Saint-Paulin cheese is always a good idea! I paired the crab mac and cheese with this kale salad and it was super savory! The slight bitterness of the cabbage balanced the sweetness of the cheeses. It’s also a good combo for some easy greens to any plate. The mac and cheese was my favorite. The cheeses used were Gouda and Havarti, a tasty combination of sweet and salty dairy goodness. FYI – I couldn’t find lobster stock at the groceries, so I replaced it with beef stock and it was delightful. My boyfriend was the one to test the recipe and he loved because it was easy, quick and yummy. Naan + Brie L’Extra + Prosciutto, what’s not to love! The popular Oka and Brie L’Extra cheeses are always loved on a cheese platter. Pair it with your favorite snacks and you’re ready to host. Overall: tasty, easy, and cheesy! Another great thing about the book is that when you buy 3 Agropur cheeses in participating grocers such as IGA, Metro, Provigo and Loblaws, you receive this recipe book as an early Christmas present! It’s a win-win, you have the ingredients for cheesy delights and the recipe book to put those cheeses to good use. 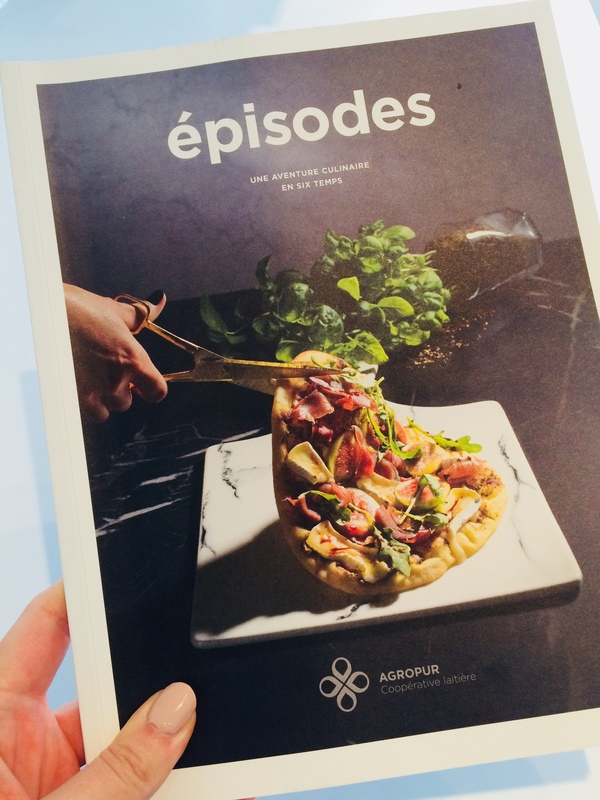 Épisodes : une aventure culinaire en six temps is perfect to add some new recipes to those crazy family dinners and also makes a lovely hostess gift during the holidays.